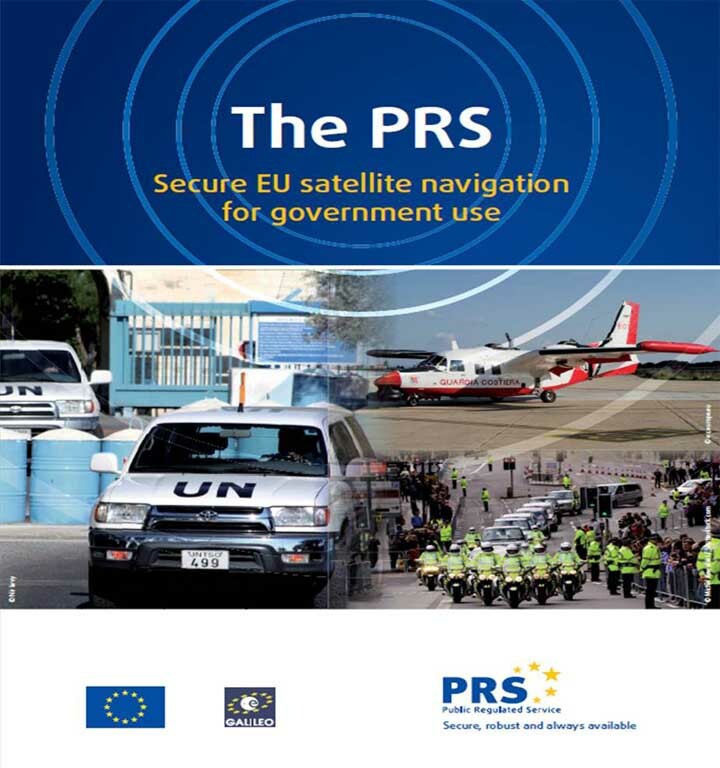 [Updated Feb. 6, 2014] The European GNSS Agency (GSA) is inviting European industries and European Union (EU) Member State Competent Public Regulated Service (PRS) Authorities to share their views and ideas in support of the adoption of the PRS. In particular, industries with potential interests and capabilities to support the development of Galileo PRS user segment technologies such as receivers, security modules, dedicated infrastructure, and market enablers are encouraged to join the discussion. · Collection of information on the current European capability and capacity with the manufacturing sectors, with particular attention to nanotechnology manufacturing capabilities, and ideas of how to better use it for PRS market uptake. The Galileo PRS is restricted to governmental authorized users and intended for use with sensitive applications that require a high-level of service continuity. Authorized users include EU member states, the European Council, European Commission, EEAS, EU agencies and, subject to security agreements with the EU, third countries and international organizations. Regulations limit consultations to those industries established in the territory of a PRS participant and where a Competent PRS Authority (CPA) has been designated. Making sure only the right people get in does represent something of a challenge, because the user base is intended to be larger than that of the GPS PPS, and it will include civil applications, such as law enforcement or applications related to critical infrastructures. Thus, the GSA will need to draw a fine line, consulting widely but not too widely. The GSA says it wants to deliver a PRS that is affordable and secure for all interested users, while also helping European industry maintains its competitive edge in the global satellite navigation marketplace. A roadmap for identifying and developing the necessary PRS technologies has already been drafted, but the GSA wants more input. Hence, the new round of consultations. It is specifically calling on businesses with interests and capabilities that can potentially contribute to the development of PRS user-segment technologies such as receivers, security modules and dedicated infrastructure. All information received during consultations will be considered confidential and not disclosed to third parties unless explicitly authorized. The deadline to receive requests is February 28, 2014. All consultation will be organized to take place between February and April 2014. Requests for a one-to-one meeting with the GSA should be sent by e-mail to <prs-workshop@gsa.europa.eu>. The Union’s recently launched Horizon 2020 research framework program includes funding for GNSS development, and the GSA says there will undoubtedly be PRS-related initiatives funded, probably starting in late 2014. Additional input provided by the private sector during the PRS consultations will feed back into the Horizon 2020 funding process, meaning anyone with a promising new idea could potentially receive financial support to see it through.